Can You Receive a Divorce Modification Over Any Issue? Posted in Alimony, Divorce, Modification, Post-marital agreement | Comments Off on Can You Receive a Divorce Modification Over Any Issue? Do we Need Court if we Agree on Custody Terms? 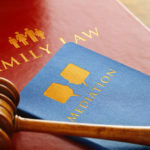 Posted in Children, Conflict Resolution, Divorce, Modification | Comments Off on Do we Need Court if we Agree on Custody Terms? How do You File to Modify a California Custody Order? Posted in Children, Modification | Comments Off on How do You File to Modify a California Custody Order? How can I modify child support and child custody/visitation? 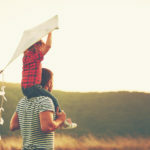 Posted in Child Support, Child visitation, Children, Modification | Comments Off on How can I modify child support and child custody/visitation? My son went with his mother for the summer, she refuses to return him to me. What should I do next? Posted in Children, Modification | Comments Off on My son went with his mother for the summer, she refuses to return him to me. What should I do next? How Can I Get Joint Custody of my 1-year-old? Posted in Children, Modification, Parental rights | Comments Off on How Can I Get Joint Custody of my 1-year-old?